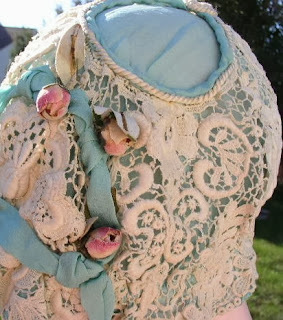 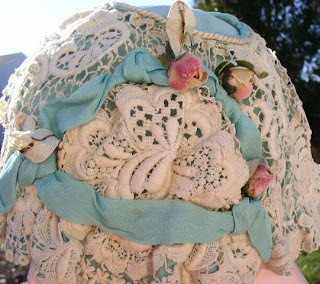 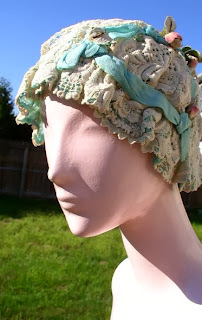 Vintage boudoir cap in robin's egg blue with hand made ivory lace and pretty little pink velvet rosebuds. 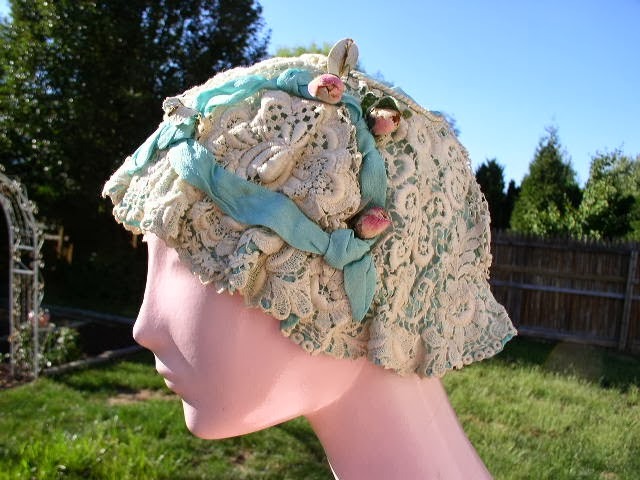 Very nice condition, no holes, one small light beige mark on the ribbon section, and the leaves on the rosebuds are timeworn. 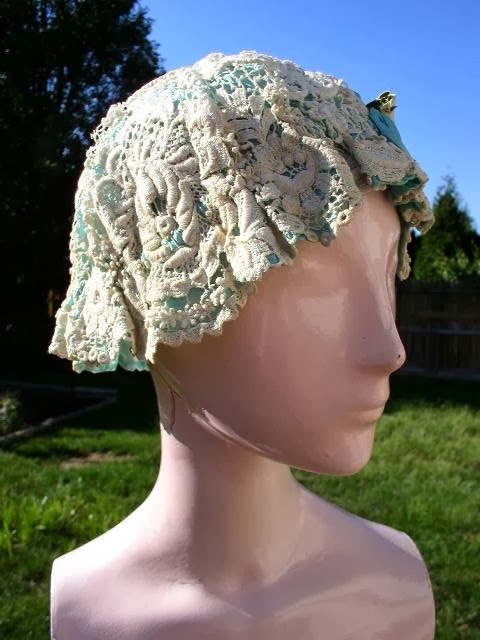 The style of the roses and the lace were popular in the 1920's.